Collaborating with care professionals — from physicians and nurses to educators and pharmacists — can improve your success. If you have diabetes, you are certainly not alone. Diabetes is one of the most common chronic conditions in the United States. In fact, approximately 29 million people live with the disease. About 5% of those with diabetes have Type 1, a condition in which the body makes very little to no insulin (the hormone in the body that controls blood glucose levels). Type 2 diabetes is the more common of the two and occurs in about 95% of people with diabetes — and unfortunately, about one-third remain undiagnosed. In people with Type 2 diabetes, insulin resistance occurs and the body doesn’t properly utilize insulin to control blood glucose. Prediabetes, which is a condition in which blood glucose levels are higher than normal but not high enough for a diagnosis of diabetes, often occurs prior to the development of Type 2. Experts estimate that 86 million people age 20 or older have prediabetes. If you are a woman with a history of gestational diabetes during pregnancy, your risk of developing Type 2 diabetes as you get older is 40% to 60% and increases to 50% to 75% if you are obese. Working with a team of diabetes care professionals has been shown to improve successful management of diabetes. When you have diabetes, it is important that you take an active role and collaborate with your diabetes care team to provide insight into your successes, concerns, and struggles. Because you are the one who provides most of your diabetes care, you are ultimately the one in charge. In other words, you are the expert on you. 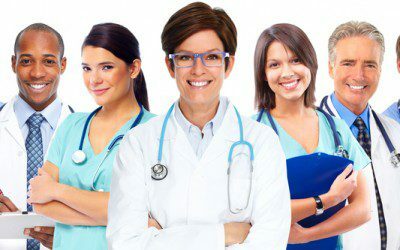 Besides you, diabetes care team members will usually include a diabetes care provider, which may be a physician, nurse-practitioner, and/or a physician’s assistant; your diabetes educators, such as a registered nurse, a registered dietitian, and/or a registered pharmacist; and, in many cases, a mental health professional. Other team members may include health-care professionals with expertise for a specific health issue as well as other individuals who are part of your support system for diabetes care. Your diabetes care provider will prescribe medicines for you, recommend goals for blood glucose, order routine laboratory tests, provide your physical examination, and make other recommendations based on your individual needs. Your provider might be a dedicated endocrinologist who has advanced, specialized training and focuses on the care of endocrine diseases, which include diabetes, thyroid disorders, growth hormone deficiency, osteoporosis, cholesterol disorders, hypertension, and obesity. It is estimated that about 20% of adults with diabetes see an endocrinologist. In contrast, the majority of adults with diabetes see a primary care provider, ideally one with expertise in caring for people with diabetes. This may be a family practice physician or an internal medicine physician, an advanced practice registered nurse (nurse practitioner), and/or a physician’s assistant. Family physicians are trained in preventive medicine, while internal medicine physicians (also called internists) have special training in the prevention and treatment of adult diseases. Nurse practitioners provide nursing and medical services to individuals, families, and groups. They may practice independently and/or in collaboration with physicians. They manage illnesses, including chronic diseases such as diabetes, and focus on health promotion and disease prevention. Nurse practitioners are different from registered nurses in that they diagnose, treat, and manage health problems. A physician’s assistant is a health-care professional licensed to practice medicine under a physician’s supervision. As part of their comprehensive responsibilities, physician’s assistants conduct physical exams, diagnose and treat illnesses, order and interpret tests, counsel on preventive health care, and assist in surgery. In most states, they can write prescriptions. Although they are typically supervised by physicians, physician’s assistants make medical decisions and provide a broad range of diagnostic and therapeutic services. In some cases, a nurse practitioner or a physician’s assistant may serve as both your diabetes care provider and your diabetes educator. Your diabetes care provider will see you on a routine basis, help you to manage your diabetes, and should make the appropriate referrals to other team members. Most people with diabetes see their diabetes care provider two to four times a year. However, your diabetes care should be based on your individual needs. To be successful at managing all types of diabetes, including prediabetes, diabetes self-management education is key. Diabetes self-management education is a process to help you obtain the knowledge and skill necessary to live with the condition and prevent, or at least delay, the complications of diabetes. For those with prediabetes, lifestyle changes can help prevent or delay the development of Type 2 diabetes. Your diabetes care provider should include a referral for the appropriate diabetes self-management education at diagnosis and at least annually thereafter. Counseling on new medications, new technology, and/or positive lifestyle changes including meal planning and physical activity will be addressed by your diabetes educator. Diabetes educators have knowledge and skills to assist you with achieving and maintaining desired behavioral changes necessary for optimal diabetes care and blood glucose control. In addition, psychosocial support that focuses on helping you live with a chronic disease should at least be offered. Most often, your diabetes self-management education should be delivered by a diabetes educator, usually a registered nurse, a registered dietitian, and/or a registered pharmacist. A diabetes educator specializes in diabetes care and education and is very active in helping people with diabetes learn to control their condition. Diabetes educators have specific skills based on their licenses to practice in their states. Some states actually have licensure for diabetes educators, so your diabetes educator may be officially licensed as a diabetes educator in addition to being a licensed nurse, dietitian, or pharmacist. Your diabetes educator may also be a certified diabetes educator (CDE) and/or board certified in advanced diabetes management (BC-ADM). In addition to nurses, dietitians, and pharmacists, other licensed health-care professionals such as a clinical psychologists, occupational therapists, optometrists, physical therapists, physician’s assistants, physicians, or podiatrists generally qualify to take the exam and become CDEs. The BC-ADM is offered to registered nurses, registered dietitians, pharmacists, physician’s assistants, and physicians who are licensed in their field and requires a master’s level degree or higher. In either case, the health-care professional must have logged a specified number of clinical hours in diabetes care and education and passed a rigorous written examination to assure his or her knowledge of diabetes education. National standards exist for centers and programs that deliver diabetes self-management education. These standards are based on research and developed by national experts who review and revise these guidelines approximately every five years. Thus, your diabetes care team has the best possible up-to-date information to promote optimal diabetes care. You and your diabetes educator should meet on an ongoing basis because of the long-term nature of the disease. Over time, you will need to be updated about changes in your diabetes care plan. A mental health professional such as a psychologist or social worker is considered an integral part of the diabetes care team. Research shows that adults with diabetes are at greater risk for depression compared to people without diabetes. For adults, dealing with a chronic illness day after day while trying to manage family duties and job responsibilities can be stressful. If your diabetes is out of control or you have complications such as nerve damage, you may feel depressed. It is preferable that you have routine psychological support as opposed to waiting for a problem to arise. Be sure to talk with your diabetes care provider and educator about any symptoms of depression, trouble coping with your illness, or changes in energy or mood. A mental health professional can help you identify the root cause for any anxiety or depression and provide professional expertise to help you get back on track. Some diabetes care team members are necessary for specific specialty care. For example, retinopathy — damage to the blood vessels in the back of the eye — can be a complication of diabetes. To determine the status of this area of your eye, you should have a comprehensive eye examination by an ophthalmologist or optometrist. This examination should be soon after diagnosis if you have Type 2 diabetes and if you have Type 1 diabetes, within five years of diagnosis; your state regulations may dictate which of the providers may perform your comprehensive eye examination. If no problems with your eyes are found after one or more examinations, then you may need to come back for a follow-up appointment every one to two years. If concerns arise or if you are a woman with diabetes who is interested in becoming pregnant, then more frequent follow up is recommended. If problems with your feet are suspected, your diabetes care provider may refer you to a podiatrist, a doctor specifically trained to treat disorders of the foot and ankle. Treatments range from shoe inserts and preventative diabetic foot care to surgical procedures. People with diabetes are at higher risk for heart disease, so a cardiologist, a physician that specializes in disorders of the heart, may need to be added to your team at some point. Another provider who may be needed is an exercise specialist such as a physical therapist or an exercise physiologist. These health-care professionals may be instrumental in evaluating your status for exercise and fitness activities, determining your strengths or weaknesses, and assessing your ability to move. Women with diabetes who are interested in becoming pregnant should discuss their plans with their obstetricians and the diabetes team first. A team approach with diabetes care professionals is essential during this time to assure that blood glucose is in optimal control before and during the pregnancy. In some cases, a pregnant woman with diabetes may be referred to a perinatologist, an obstetrician with specialized training in managing high-risk pregnancies. It is important to acknowledge the support for diabetes that may come from lay health and community health workers. While these individuals are not diabetes educators, they may have training in diabetes and can be instrumental in reinforcing elements of your diabetes treatment plan as well as offering emotional support. They should also encourage you to follow up on a routine basis with your diabetes care team and to consult with the team should a question or need arise. Taking care of diabetes requires a lifetime of learning — and relearning. There is no one-size-fits-all approach for any individual, including those with diabetes. When you have diabetes, you should be aware of your learning style (click here to learn more about various learning styles). Once you have identified your learning style, have a discussion with your diabetes care team. By focusing on your personal learning style, your team can use techniques that are better suited to you and ideally improve the quickness and the quality of your lifelong diabetes learning. Dr. Laura Hieronymus is a registered nurse and master licensed diabetes educator. She is affiliated with the Barnstable Brown Diabetes Center and the College of Nursing at the University of Kentucky in Lexington, Kentucky. Dr. Fowlkes is the director of the Barnstable Brown Diabetes Center and a professor of pediatrics in the College of Medicine at the University of Kentucky.